Hackers – Remote Controls for Our Bots! In the Hackers group this week, we took a large step forward in our Project SABRE (Small Autonomous Battling Robotic Entities), when we started working with remote controllers for our robots. From what the group has read, it looks like the most widely-used controllers are Spektrum-compatible DSMX or DSM2 ones. Therefore, we bought 3x Lemon RX DSMX/DSM2 receivers and one MLP4DSM Blade transmitter (as shown in the photo). Pins on the receiver are simply connected to digital pins on the Arduino. According to the comments, while this works, you should use interrupt-driven code. There was a lot of excitement when people were able move the joystick on the transmitter and have it change the value being printed out in the Arduino console! Hackers – Building Battling Bots for Project SABRE! In recent weeks in the Hackers group, we have been refining our plans for Project SABRE (Small Autonomous Battling Robotic Entities). Our mission for Project SABRE is to build “battlebots” that include some autonomous features. While there are many kits available for purchase, our two teams of hackers are designing and building their bots from scratch, identifying and sourcing all components ourselves, 3D printing bodies of their own designs, and programming everything themselves. Even the mentors are hands-off, helping mainly with project planning and purchasing, but not designing or making. Stay tuned as the work continues in the coming weeks! Another great week, a lot of work was done in the Explorers room. 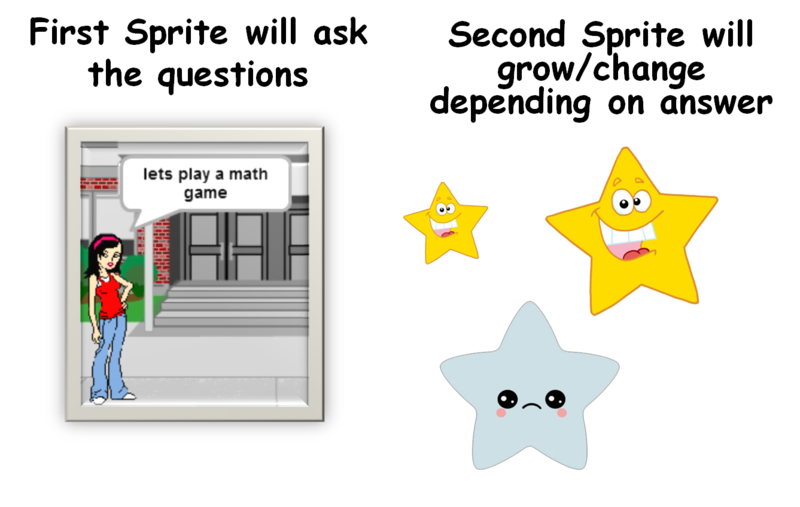 Hope you all had fun making our Maths game! 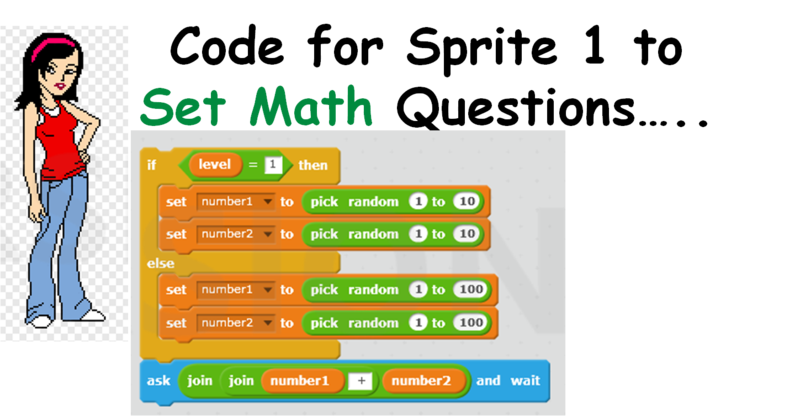 A player picks a level of difficulty and the computer chooses 2 random numbers to add (subtract or multiply- whichever you choose!) together and show the numbers to the player. 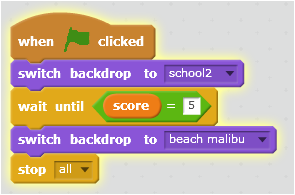 Fr this we needed 2 SPRITES and 4 VARIABLES called SCORE, LEVEL, NUMBER1 and NUMBER2 as well as 2 BACKDROPS. 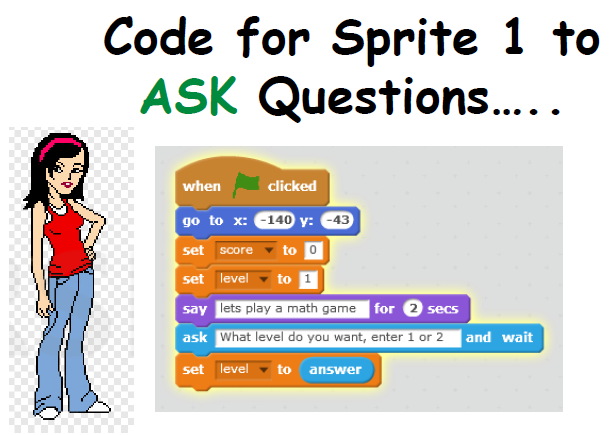 Also I have uploaded the finished game to the www.Scratch.mit.edu website, just use the login details in the notes. Thanks to everyone who came yesterday and special welcome to our new people. Thank you all for your patience with the projector! 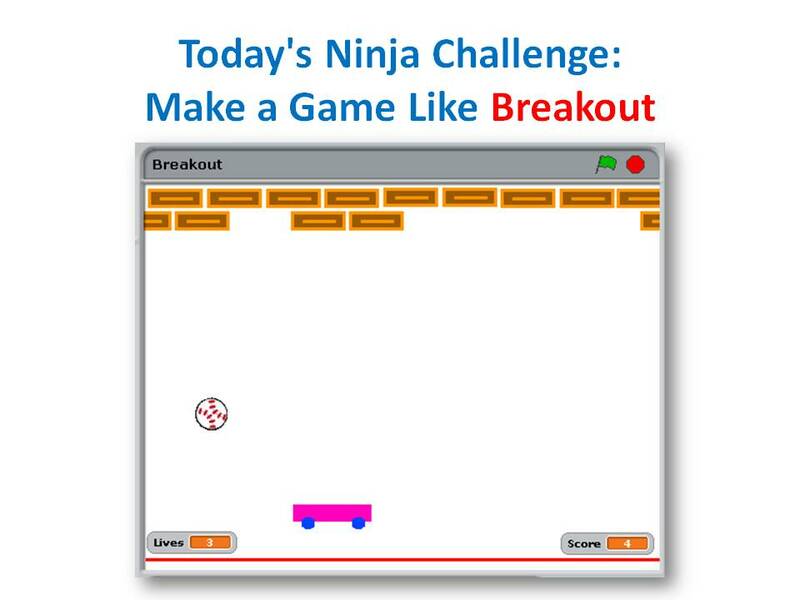 This week we did a game based on an old game called Breakout. The object of the game is to try and get rid of all the blocks by bouncing a ball into them using a bat of some type. You all had your own versions of what you wanted the game to look that and that’s brilliant, your imagination is way better than mine. 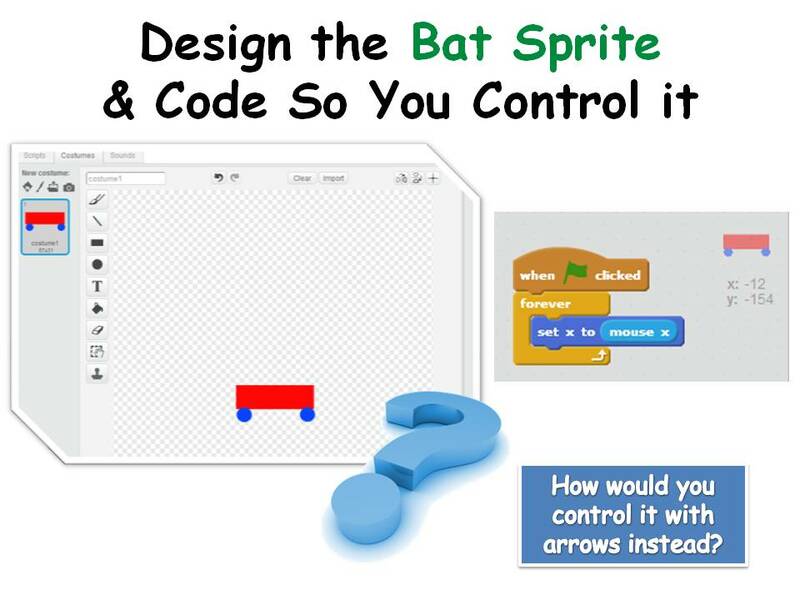 The first thing we did was design your bat and write some code to control it. 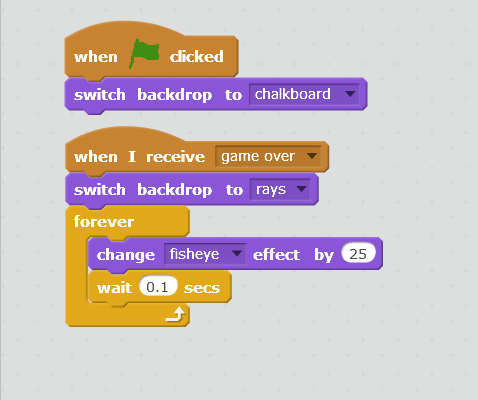 We decided that the mouse should control the movement and that the movement should be only from left to right and vice versa. 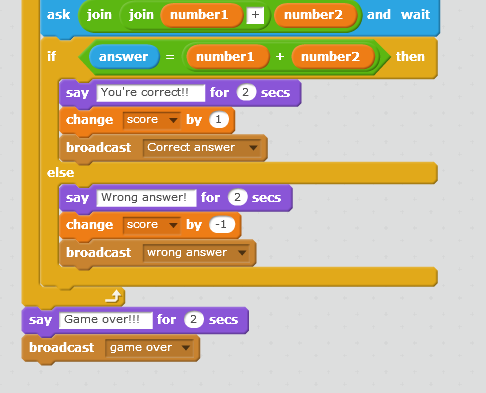 I have also uploaded the finished game to the Scratch Website if anybody wants to take a look at it or for anyone that wasn’t there on Saturday. I will go through it at the beginning of next weeks session if anyone has any questions. 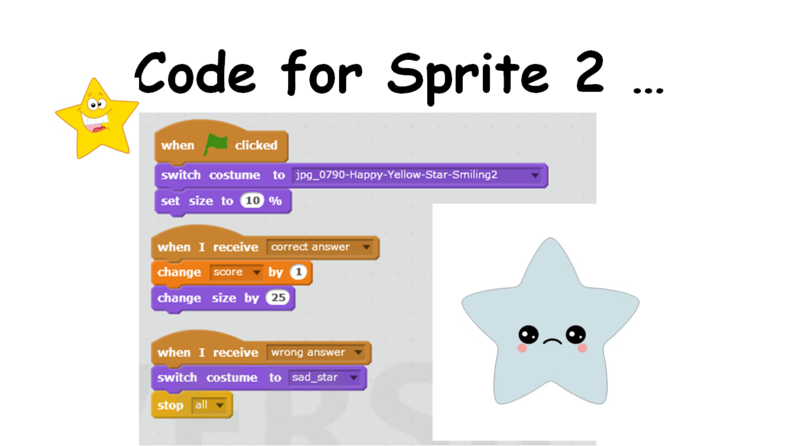 You will find the login details for our account on the Scratch website in the notes above. See you all next week and have a great week.